17th November 1935 - 24th August 2009 Athlete of the century, Toni Sailer, remains unforgotten: He would have celebrated his 80th birthday on the 17th November 2015. Not a day goes by in Kitzbühel without at least one person thinking or talking about him. Every year, members of the Kitzbühel Ski Club (K.S.C.) meet on his birthday. Toni was not just a skiing legend, honorary member and club official – but rather one of alpine ski racing’s greatest mentors. 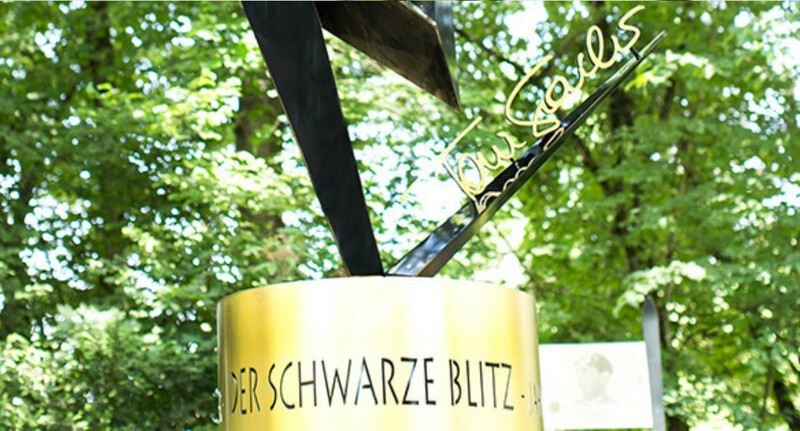 Toni’s presence can be felt everywhere in his hometown of Kitzbühel, especially since the ARGE Kitzbühel consortium publicly unveiled a monument in his honour on the occasion of the 75th anniversary Hahnenkamm Races, which is now a centre of attraction for all visitors to Kitzbühel. In addition to his sporting achievements, all his friends and companions particularly like to remember his humour and joie de vivre, a role model for us all. Triple Olympic champion, seven-time World Champion and Vice World Champion and three-time national champion is just an excerpt from his list of achievements. Austria’s Athlete of the Century was an actor in 25 films, performed in various theatre plays and released no less than 18 records. He was Head Coach and Technical Director in the Austrian Ski Federation from 1972 to 1976, K.S.C. President from 1967 to 1976 and HKR Race Director in later years, as well as being in charge of Golfclub Kitzbühel for many years. On an international level, Toni Sailer was Chairman of the FIS Alpine Committee. On Tuesday 17th November, K.S.C. members will meet in the evening at the Hermann-Reisch Saal at Rasmushof. During this social evening we will reminisce on the rich skiing history of Kitzbühel, as well as have presentations and discussions on the future of K.S.C. youth development. Very much in the spirit of our Toni !